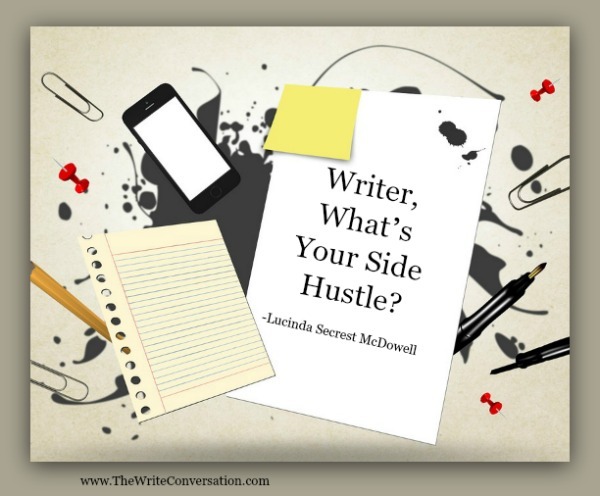 The Write Conversation: Writer, What’s Your Side Hustle? Let’s face it, most writers simply cannot financially support ourselves on writing alone. If you are one of those best-selling authors who does, you have permission to totally stop reading now. We are not the only profession who often struggle to make ends meet. My daughter is a Broadway actress who performs widely, but the reality is, as soon as one show closes, she’s back to auditions. And, like many of her fellow NYC equity actors, she has a survival job – a side hustle.As the mama of a toddler, what works for her lifestyle is to offer quality skincare products to her tribe. She can work from home, and fellow actresses are thrilled with a certain product that allows them to no longer have to wear fake eyelashes on stage. What has worked for me in recent years is daily contracted work as a substitute teacher at my local public high school. I’m able to make myself available on those dates when I’m not speaking or meeting a writing deadline. It’s a job where I work hard while I’m on campus, but don’t bring any work home. This month I’m a long-term sub in Junior English, fully saturated in teaching “Raisin in the Sun,” and “Fences.” It’s amazing to watch these teenagers catch a glimpse of the lives of African Americans — referred to as coloreds or Negroes — in the literature of mid-century America. And I’m grateful to be able to explain references to them such as “thirty pieces of silver” and “Scarlet O’Hara.” I’m still shaking my head that no one recognized those iconic references! I am a firm believer that all work has worth. When we hold our brand-new book in our hands and wear that “heady” mantle of Author, we often feel important, full of worth and influence. But that usually means nothing to the folks who know us in our side hustle job. Accolades aren’t important – what’s important is that we serve with kindness, attention, and to the best of our ability. Let’s face it, substitute teachers aren’t overflowing with prestige or high salaries. And yet, that is the very place the Lord has put me for ten years in order to teach me about humility, just showing up, and making a connection for encouragement and accountability to the students I encounter. Do you need an attitude adjustment about your need to work on the side while you are writing the next Great American Novel? 1. Remind yourself that all work has worth.And all the people with whom you come into contact are made in Christ’s image and thus important. Francis Schaeffer once said, “As there are no little peoplein God’s sight, so there are no little places. To be wholly committed to God in the place where God wants him—this is the creature glorified. Jesus commands Christians to seek consciously the lowest room. All of us— pastors, teachers, professional religious workers and non-professional included— are tempted to say, ‘I will take the larger place because it will give me more influence for Jesus Christ.’”(“No Little People” Schaeffer, 1974) No job is beneath us. 2. Live your words while on the job. Writers and speakers are people of words. But rather than speak or write them, sometimes we are called to merely livethem, and thus point to God. You may not be able to say Christian words in your job, but you can always exhibit the fruit of Christian character – love, joy, peace, patience, kindness, goodness, faithfulness, gentleness and self-control. 3. Remember that in God’s economy, nothing is wasted. We in the creative community often take side jobs that appear far from creative. But that doesn’t mean we don’t learn something through them. Our interaction with the public and those who are different from our normal milieu bring rich insight and stories into our own lives. Such situations cause us to question, and muse, and perhaps even come up with a fresh take on our own passionate message. So, next time you’re scanning returned books at the local library, or preparing that latte at the coffee bar, ask God to speak to you through this ordinary act of service. I am forever grateful for every door God opens for me to live my passion — writing and speaking Encouraging Words. But I am also grateful for His provision in my life through endeavors that don’t at first appear to further that cause. Because, in the light of eternity, everything matters. Ms. Lucinda. In all honesty, I'm not yet sure that being a Christian writer isn't my "side hustle." (New word there, I like that). 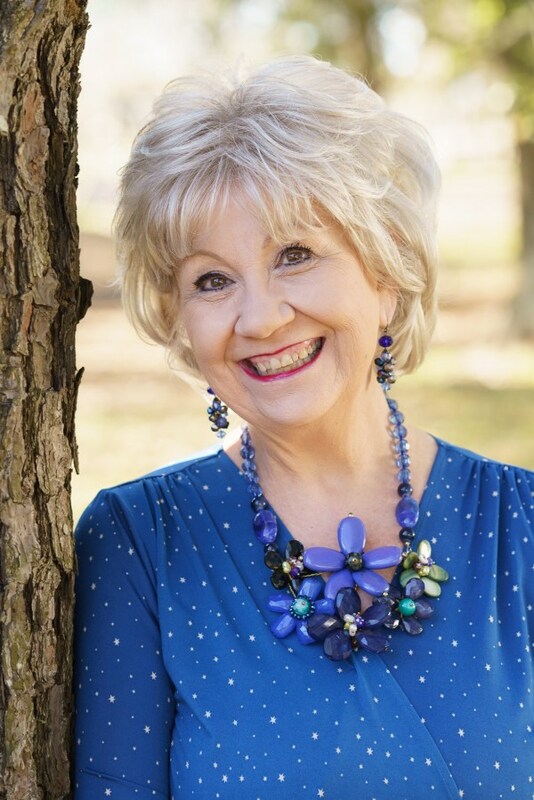 The business writing I've done for the past forty years is what enables me to now write for God's glory. It pays the bills of this world while my writing makes investments in eternity (aka my SRA - Spiritual Retirement Account). God's blessings ma'am; and thank you for this encouraging post. Like JD, I came to writing later in life after I quit working full time. However, in the past few years, I picked up a new "side hustle" which is managing director of a Community Theatre. It works hand-in-hand with my writing, helping me visualize scenes more than before. SFF, I love that you work for community theatre, especially since I'm the mama of an actress! And I totally see how the creative juices flow there... Easter Blessings! Thank you for your comment, because it is important to share reality. God gives us so many opportunities to learn the fruit of the Spirit. I pray Easter Blessings all over you today. Melissa, this is my prayer as well. Looking to hear that "well done, good and faithful servant," not "good and successful...." Holy Week blessings to you. Lucinda, this post resonated so much with me. I am so jealous of my writer friends who do not have a day job and get this ridiculous daily word counts. Your post helped me see my job in a different way. Thank you! Keep spreading the Lord's message. Ingmar, Everyone has a different life and it is hard to not compare ourselves with others. So glad this blog resonated with you. We can all pray for faithfulness and obedience in whatever God calls us to do. Easter Blessings!